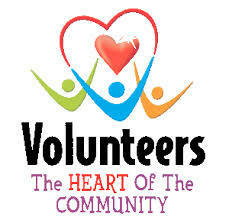 Book Club, hosted by Carol Phillips, meets once a month in the community room at 10:45AM. Check your calendar for exact dates. Book selections are chosen by the group and newcomers are always welcome. Discussing the latest book choice with Carol is like being with your favorite teacher or librarian. 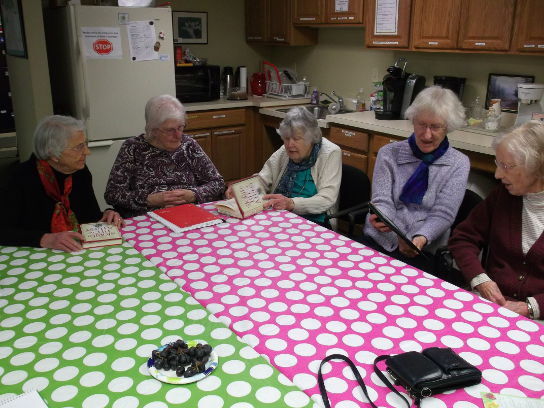 Consider joining this lively group of avid readers. Call Carol with any questions @ 860-429-1409. She doesn’t have e-mail but does have an answering machine. Bocce Games, during the summer and fall season, will be happening every Saturday morning (weather permitting) starting at 11:00, so come on down and join in the fun! 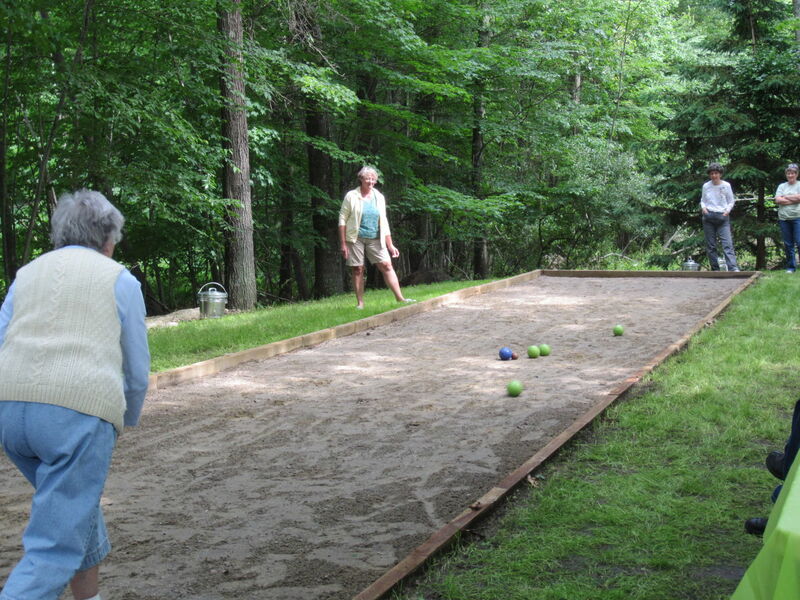 If you don’t know how to play bocce, someone will happily teach you – it takes about 5 minutes to learn the rules, and rule sheets are available in the Community Room or in the court side hamper. And if Saturday mornings aren’t convenient for you, remember that it is your court as a Glen Ridge member, and you can play bocce (or just sit on the benches and enjoy the lovely view of the pond) any time you wish! 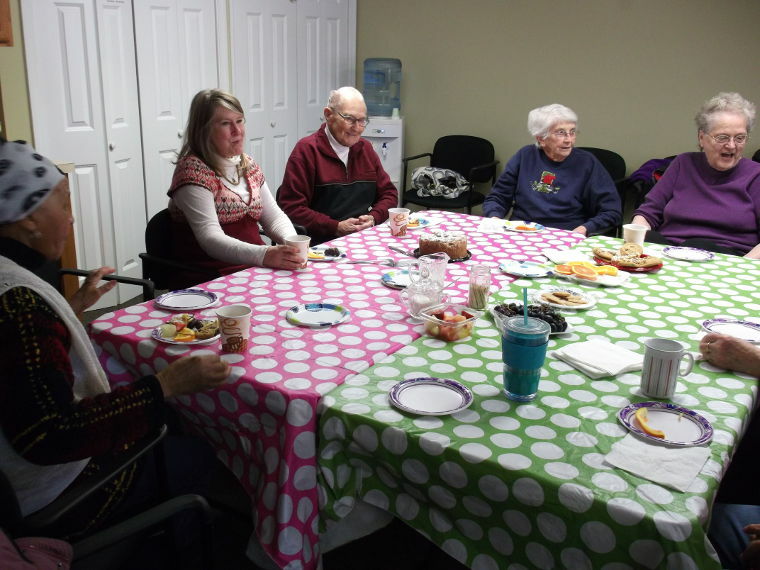 Coffee Socials are on Wednesdays each week in the community room or on nice days, the patio, alternating mornings at 10AM and afternoons at 3PM. Check your calendar for exact dates. Enjoy a good cup of coffee (regular or de-caf) and enjoy some home-baked snacks along with it. The welcome mat is out, especially for our newcomers. 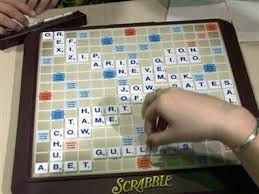 A chance to get to know the names of your new neighbors. Lively conversation and good company is yours for the asking. 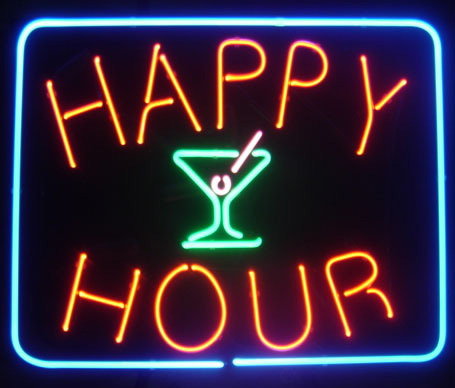 Happy Hour on the Patio is every Saturday night @ 5:00PM, BYOB. Ahhhhhh, to have a glass of wine and sit with friends on a warm evening. Can’t get any better than that! We even offer pretty plastic wine glasses to eliminate any unfortunate accidents. Good conversation, good friends, and a chance to meet and greet all the new neighbors that have graced our community this past year. Join the group; I’m sure you will come back time and time again. Men’s Night is on every 4th Tuesday of the month at 6:00 PM. Join us for an evening of conversation, companionship, pizza, beer (BYOB) or help yourself to soda in the refrigerator. What happens in the Community Room stays in the Community Room. 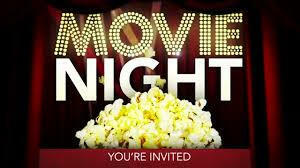 Movie Night is every Friday evening in the Community Room at 4:30PM. Ask a friend to join you and come on down to the Community Room for some great entertainment. Free admission. Bring a snack, sit back and enjoy films carefully selected for your enjoyment. A list of each month’s movies are distributed in the beginning of the month along with the bi-weekly newsletter and on the web site. Movie night has been a big success thanks to the willing volunteers that keep it going. Is there a movie you would like to see? Call Mollie @ 860-429-2760. She will do her best to get it for you. 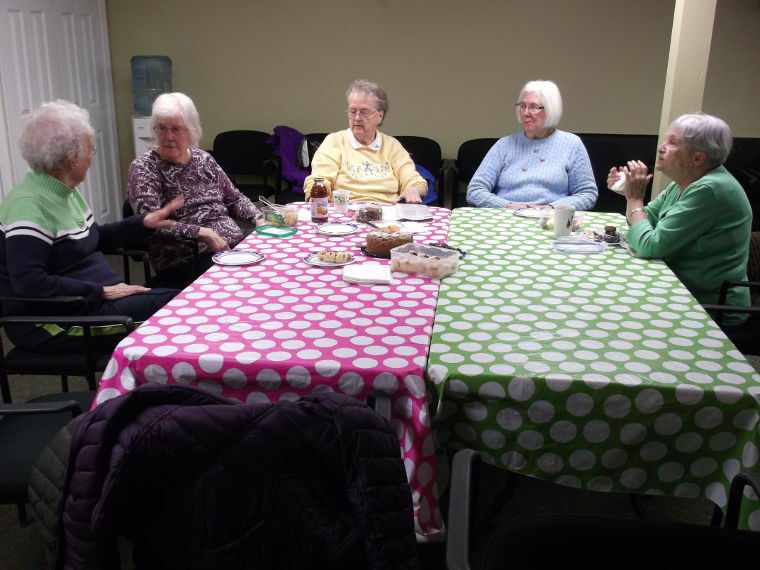 Women’s Group meets once a month in the Community Room at 5:30PM. Check your calendar for exact dates. Everyone is encouraged to bring a bag lunch along to enjoy together. If you do not like eating alone, this can be a real treat. We mutually agree on a topic before the meeting and have had some very lively discussions. To date, we have about thirteen members. If you would like to join, call Bev Korba @ 860-477-0546. You don’t need to take an active role if that isn’t your thing but good listeners are always welcome. We all come from various walks of life and have so much to offer through our different points of view. Give us a try, I think it would be a fun evening for you. Help with mailings for Joshua’s Trust, Organize and work at the children’s section of the Mansfield book sales, Serve on town committees, Teach English to Asian students and their families, Tutor at the women’s prison in Niantic, Tutor in the Mansfield school system, Volunteer at the polls during elections, Volunteer at the senior center, Volunteer at the Tri-County Greenhouse, Volunteer at Windham Area Interfaith Ministry (WAIM), Volunteer at Windham Hospital, Work at the flu vaccine clinic, & Write letters to the editors. There is always something to do at Glen Ridge!